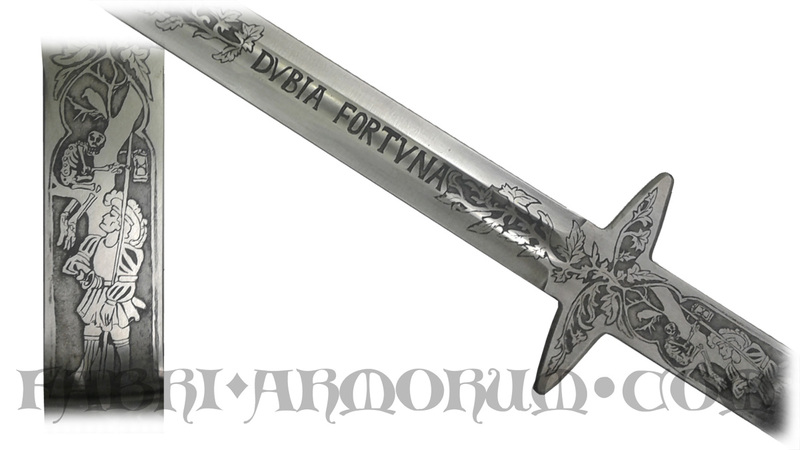 Etching sword blade with custom inscription. Example of motive can be family crest or motto, replica of historical design or some mystic runes. We can use any custom font which you can find free online. Etching picture: 10 – 50 €, depends on design.